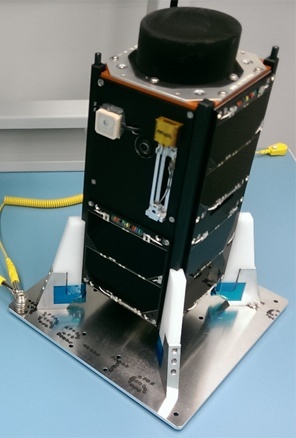 EO-80, also known as QB50p2, is a 2U cubesat (10cm x 10cm x 20cm) built and launched as a collaborative effort led by the von Karman Institute and ISIS-BV. The primary function of the satellite is testing of the systems designed for the QB50 mission cubesats, including the Attitude Determination and Control System, Ion & Neutral Mass Spectrometer, Oxygen Flux Probe, Satellite Control Software, and the Quadpack deployer. Additionally, the satellite carries a AMSAT-FR constructed repeater as a return favor for support of the use of the amateur bands for the primary QB50 mission. The transponder will be active after the primary mission is complete, estimated at six months.